Adults with learning disabilities at the centre of a care abuse case in Cornwall will receive about £8m in compensation. The High Court made the decision after 165 former residents of Falmouth's Budock Hospital claimed compensation for failings including physical abuse. The claim was brought against the former Cornwall Partnership NHS Trust. The current Cornwall Partnership NHS Foundation Trust said the money would help towards "putting things right". The allegations included physical assault, emotional and verbal abuse and a failure to provide adequate programmes of care and assessment. Solicitors who represented many of the families involved said the case dated back to 2006 when a highly critical report forced the resignation of three senior officials. The total includes the £1.5m settlement of financial claims agreed earlier this year. The financial settlement related to historic allegations that residents' money was misappropriated to pay for services that Cornwall Partnership NHS Trust should have funded. 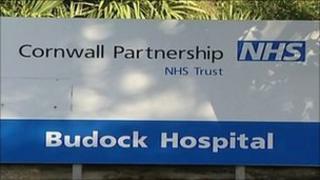 The claim was brought against the former Cornwall Partnership NHS Trust, but the current Cornwall Partnership NHS Foundation Trust said the payout would not affect the service it provided. Acting chief executive Phillip Confue said: "The services provided by our predecessor, Cornwall Partnership NHS Trust, did not reach the level of care, protection or standards we expect. "We cannot undo the things which happened but providing financial compensation is part of our commitment to putting things right. "Since 2006, we have done a great deal to improve the services provided in Cornwall for people with a learning disability," he added. Budock hospital was closed down in 2007.